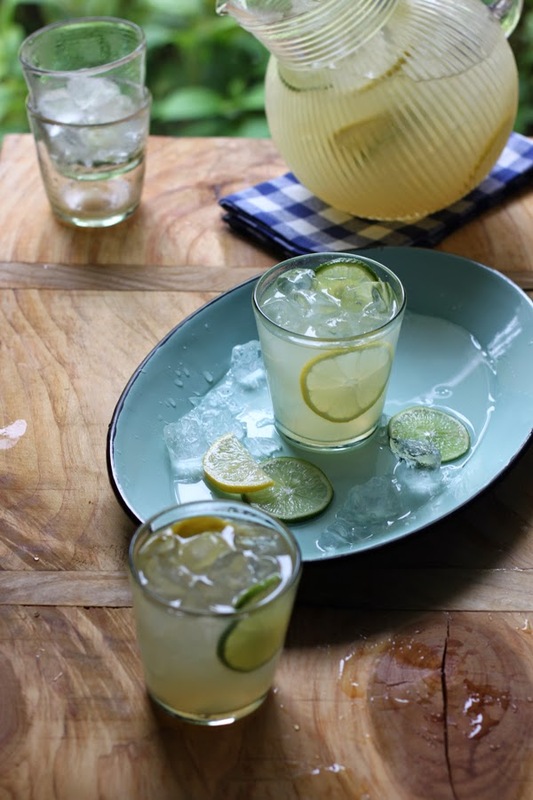 This week's installment of 'lets pretend this drink is a cocktail" looks a lot like lemonade. It also looks a lot like the only non-water or coffee thing I want to drink right now. 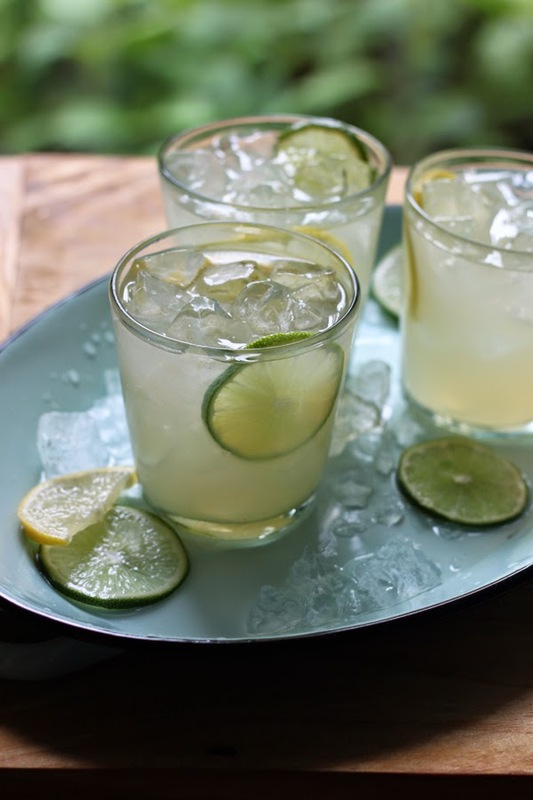 Vanilla Lemon-Limeade is a dressed up version of that ubiquitous summer sipper. I had a crazy crazy pregnancy for lemonade and there wasn't even time to let sugar dissolve. Luckily I had some vanilla simple syrup on hand (I use it for iced coffee, because I'm fancy…) so I threw that into some lemon juice and water. My crazy pregnant mind was blown. 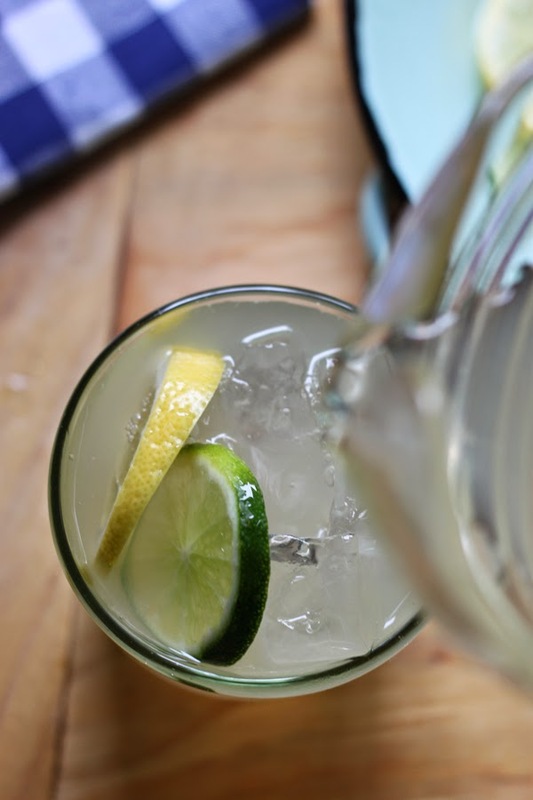 Turns out lemon and lime (and citrus in general) is pretty awesome for pregnant ladies. Besides being loaded with vitamin C, citrus may help with nausea and aid digestion for mamas-to-be. Sometimes I wish the same were true for Champagne. Still this Vanilla Lemon-Limeade feels like a fancy cocktail in my hand while I'm drinking it. 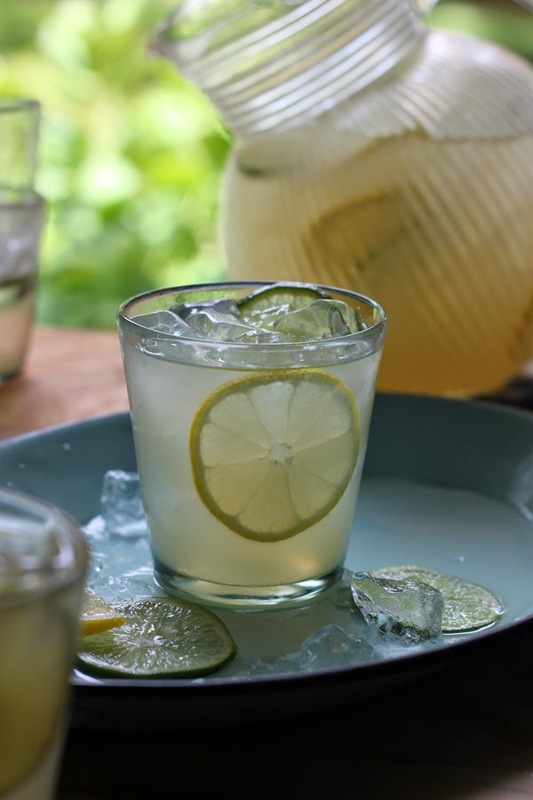 Both the vanilla and lime juice cut the acidity of the lemon juice - making this ade taste softer and sweeter than traditional lemonade. You can use all lemon juice, if thats what you're craving! Combine syrup, citrus juices, water and salt and chill for at least an hour before serving. Combine the sugar, water and vanilla bean in a small saucepan over medium heat and bring to a simmer, stirring occasionally. Cool completely before using. This sounds incredibly refreshing and delightful all at the same time. Cheers to the weekend, lady! 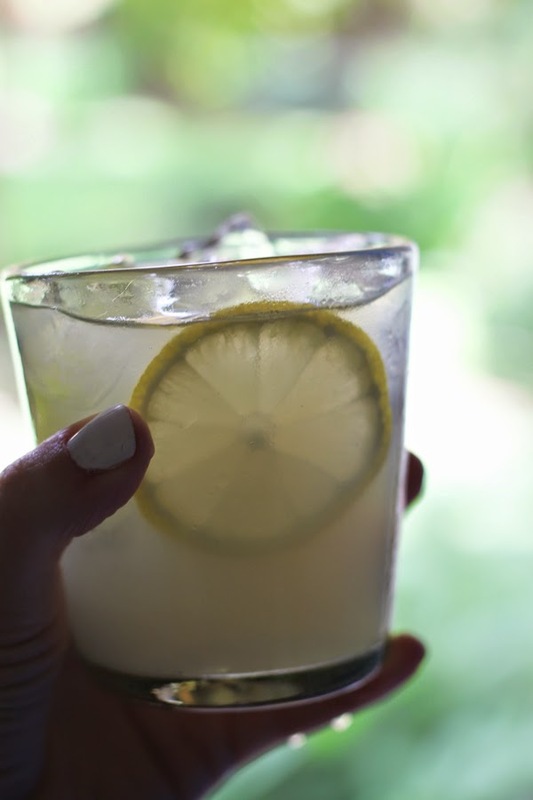 I'll drink all the alcoholic beverages in your honor will you're unable too.. ;) This sounds too good, love the idea of vanilla in lemon-limeade.. Must try! Hope all is well my dear! Looks refreshingly delicious! Love your glasses, too. oh, that sounds so refreshing and delicious! can't wait to give it a try!